Bleu Cheese is one of those foods that fall into either the love or hate category with a lot of people. Personally, I love it! The flavors are sharp and a bit salty. Many people that don’t like bleu cheese however, are not found of it because of the smell (which comes from the penicillium mold and bacteria that is encouraged to grow on the cheese). But don’t let the smell, or the mold veins scare you away. This cheese packs a great punch and I’ve found it to be a wonderful asset in recipes — especially because that distinctive taste doesn’t get lost when used as an ingredient (which can come in a solid wedge/wheel or crumbled). Each bleu cheese has a unique aroma that can be enticing when properly stored and conditioned. However, an overripe cheese will become quite unpleasant. There are several different types of bleu cheese. The cheese can be made with either cow’s, sheep, or goat’s milk. Processes and milk type vary amongst different countries, allowing for over 30 varietals of bleu cheese. Some of the most common and popular include Stilton from the UK, Roquefort from France, Gorgonzola from Italy, and Cabrales from Spain. Do you have a favorite from either these four — or any of the other varieties? Below are some great dishes from Green Door Hospitality that include varieties of bleu cheese. Simply click on the image to be taken to recipe! I have a recipe for biscuits with melted butter and crumbled blue cheese that goes in the oven. Everyone loves it and they can’t believe it has the cheese in the recipe. Yeah, it’s hard for some people to take…but I love that I’ve inspired you to give it another chance. The Roquefort Popovers might be a good way to try bleu cheese again since it “blends” in more with the popover. In many of the cheese stores I have gone to, it has been pointed out to me that most women do not like blue cheese. I always wondered why? I love it. Interesting. I’ve never heard of that before. All of the Bleu Cheese, All of the time!!! Steaks and burgers are a must for bleu cheese!! I’ve actually got a tenderloin recipe that includes bleu cheese that I’ll be posting down the road. 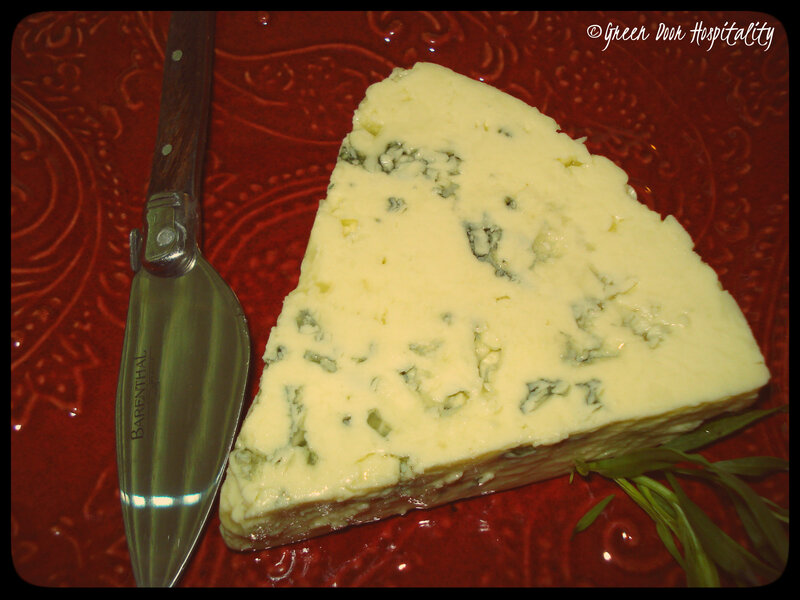 I love bleu cheese – great spotlight!! This entry was posted on January 23, 2014 by Jessica Romigh in Ingredient Spotlight and tagged bleu cheese, blue cheese, cabrales cheese, cheese, gorgonzola, roquefort cheese, stilton cheese.